HomeNasal CongestionWhat can I do About this Runny Nose? Has your nose been running for days now? Does it wake you up running at night? Is there a massive pile of crusty, used Kleenex and toilet paper lying around your feet in the living room? If so then you might need to read on and find out what to do about that runny nose. You can often tell the cause of the illness by the color of the mucus (snot). This in turn may help you or your doctor determine the treatment. Along with your runny nose you may also notice other symptoms common to the condition of nasal congestion. These can occur separately or in combination. The location of these symptoms is directly related to the sinus cavities which lie basically under eyes and behind the nose. You may occasionally see someone trying to relieve their “pressure” by rubbing their forehead and under their eyes; it’s no coincidence they are pressing there. What Can You Do About a Runny Nose? There are several things you can do for your runny nose, with a wide range of options and degrees of seriousness. The best one for you is going to be a trial and error thing, until it gets to the point where you need medical help. Let’s start with “home” remedies. Try these remedies you can use at the house before you head to the drug store for Over the Counter (OTC) medicine. You might find your runny nose going away in a timely manner without “outside” help. 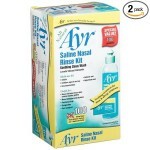 Many of these are nasal sprays and can be purchased over the counter. Just be sure and take as directed, and if you notice any changes for the worse, contact your physician. If you are having Sinus Surgery, It’s likely that a runny nose is the least of your symptoms, but the surgery offers much needed relief just the same. From runny nose to sinus tumor, you now have a variety of treatment options to choose from, to get better control of your nasal congestion symptoms. Try the home remedies and OTC medications first, but if you need to, call your doctor. Together you can get your sinus troubles under control and lick that runny nose; ewwww! Which is NOT a home remedy for a runny nose? True or False: Balloon Sinuplasty is something a clown does. Which one is a type of nasal congestion medication? Do you need relief? Are you tired of a runny nose, or a stuffy head? If so, then you need what Dr. Christina Starkman has put together. 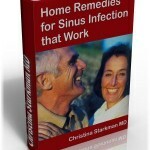 A practicing MD for years, Starkman has seen and treated hundreds of patients with varying degrees of nasal congestion, and in her breakthrough eBook, Home Remedies for Sinus Infection that Work she has accomplished her purpose of “healing” the sick. In depth coverage of each topic is what gives you, the patient, an advantage you can’t get with conventional treatment. Starkman addresses each issue with complete candor and revelation. In Home Remedies for Sinus Infection that Work you can get the answers to these and many other issues. Starkman has put together a complete system to help relieve your Nasal Congestion. If you’re worried about being scammed, or that this is too good to be true, then read about this product and see for yourself. There are no Bogus, Bonus Books; Starkman is confident her product will be valuable enough, as is. There is a 100% Money Back Guarantee that is good for 56 days. So, if you need congestion relief, check out Home Remedies for Sinus Infection that Work. What Can You Do About Sinus Pressure? What is a Neti Pot and Why do You Need One? 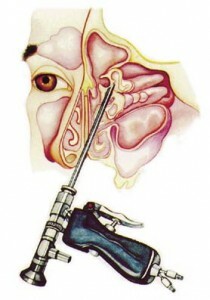 What are the Types of Sinus Surgery? 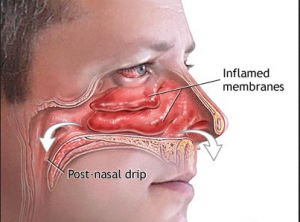 What are the Different Types of Nasal Spray? A lifetime of allergies has me trying all the possible methods to deal with sinus pressure and runny noses. It’s horribly annoying, really uncomfortable and not at all attractive! Carrie, you’re not alone in your suffering. So many folks need the remedy you are desperately seeking. Thanks for sharing. I’m a big fan of steamy hot showers when I’m congested. I also combine this with a neti pot. Does the trick for me. Good call Jennifer. That combination also works for my kids sometimes, although they hate the Neti Pot, they use more Saline Solution nasal sprays. Thanks for the info. Peppermint Tea is the best. It helps avoiding the rebound effect due to different nasal sprays like Otrivin. Eucalyptus Oil in the tub can also be used. Thanks Snape, I’ve read a lot of testimonials that suggest the same thing about Peppermint Tea. Appreciate the info. I snore very loudly, well so my wife says. I was wondering if any of these remedies would help me in that respect. I see it mentions excessive snoring in the article, so I just wanted to know if a particular remedy would help more than another, I don’t have any other noticable sinus problems that I am aware of. Although I do tend to sneeze a lot in bright sunlight as well. Snoring can be a sinus related condition Paul. 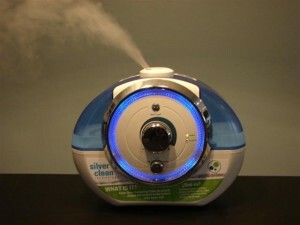 There are a multitude of remedies available from simply clearing your nose well before you go to bed, to a humidifier in your bedroom, to getting a Sleep Study done to rule out Sleep Apnea, a potentially dangerous condition. Good luck with your situation, and thanks for the comment.